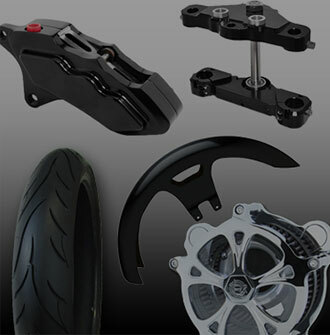 Rotation is proud to offer a vast selection of aftermarket motorcycle parts from the top names in the industry. 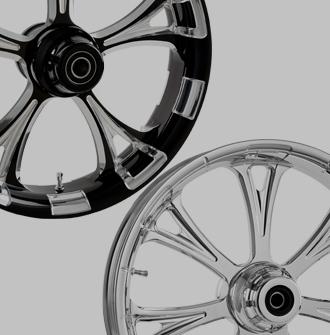 We specialize in custom motorcycle wheels for your Harley Davidson, sport bike, and metric cruiser. 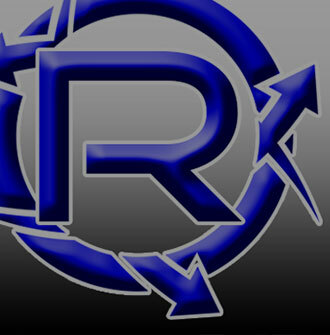 Rotation strives for outstanding customer service, with a “small company” attitude. We care about every customer and ensuring they have the best knowledge and education before making a purchase. 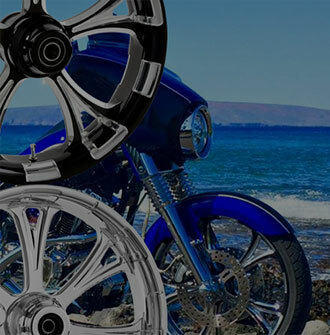 Motorcycle wheels are the top purchase to make your bike stand out from the rest! Don’t forget the small parts, grips, pegs, exhaust, handlebars, and much more! If it can fit on your motorcycle, Rotation can get it! Xtreme Machine Cruise Xquisite Cut Wheel Package 18" HOT DEAL! Xtreme Machine Execute Platinum Cut Wheel 13" Rotor Package 23" HOT DEAL! Rotation Fender Riser Brackets Kawasaki Vaquero 21"